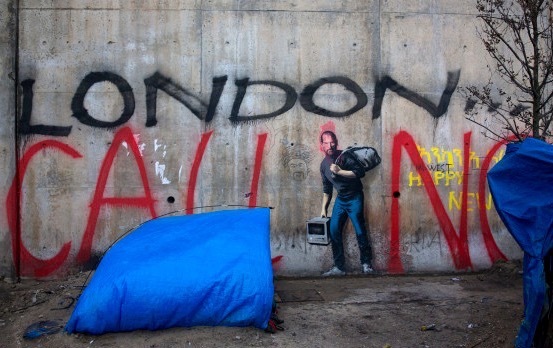 Photo credit: Carl Court Art by Banksy, Steve Jobs mural at Calais refugee camp, France. What are the potentials and limitations of social analysis of art? My attempt at inserting Banksy into academic analysis. What fun!